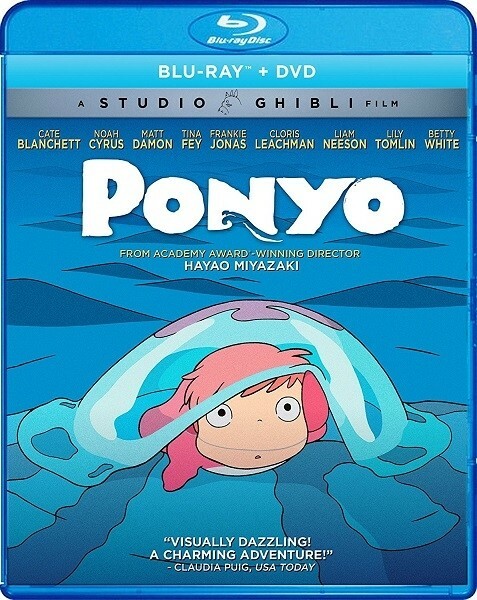 When a young boy named Sosuke rescues a goldfish named Ponyo, they embark on a fantastic journey of friendship and discovery — until Ponyo's father, a powerful sorcerer, forces her to return to her home in the sea. In her quest to become human and reunite with Sosuke, Ponyo stumbles upon and releases her father's magical Water of Life and triggers a gigantic storm. Now balance must be restored to the world they all cherish. Academy Award-winning director Hayao Miyazaki (2002, Best Animated Feature, Spirited Away) and legendary filmmaker John Lasseter together with Disney bring to life a heartwarming and imaginative telling of Hans Christian Andersen's classic fairy tale "The Little Mermaid".